As technology has continued to advance in the Canadian rental industry, marketers now have far greater access to lead data. Email tracking software, call-tracking, and Google Analytics have given marketers more power and more intelligence than ever before. As a result, the industry is becoming savvier and more strategic in their ad-buying practices. 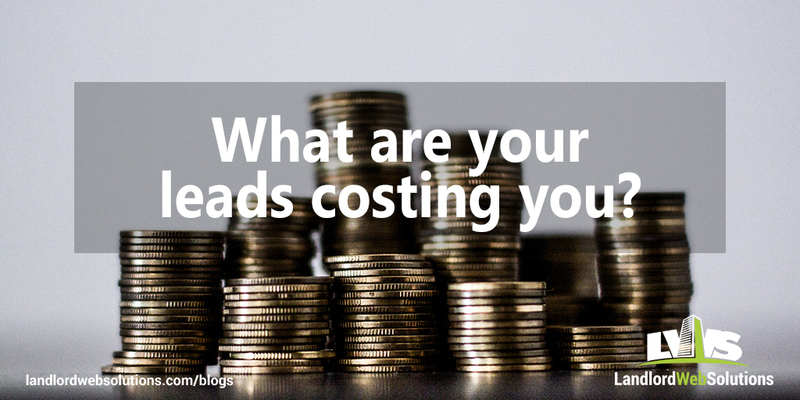 One of the more common trends I am seeing now, is the calculation of cost-per-lead (CPL). When I see this level of analysis from a Canadian landlord or property management company, it warms my cold, analytical heart. It excites me that the rental industry in Canada is progressing in a very healthy way. If you are tracking your CPL, specifically on internet listing site (ILS) ad-buys – you may be pondering – how much should my average CPL be? How much is a rental lead worth and what is an acceptable rate to pay? These are questions I am hearing on a regular basis and so, I would like to answer them, here and now! Unfortunately, the answer isn't "black and white". I would love to tell every landlord and property manager in Canada that the answer is "$5.00 flat", but it's just not that simple of a concept. Think of rental leads as though they are a product. When you use an ILS you are simply purchasing leads. Like any product – fair pricing (or market-pricing) should be determined with supply and demand in mind. The most important principle to understand here, is that market price should be determined market-by-market. Meaning that leads in one market (or city) in Canada should not be the same price in another market in Canada. For example, Lobster costs a lot more in Calgary then it does in Halifax! 1. For each of the cities and towns that I have property in, what are the vacancy rates? 2. In which direction is this vacancy rate trending – up or down? 3. How many leads are available in this market? 4. How easy is it to produce a lead in this market – are there tons of great ILS suppliers or just a few strong sources? 5. Is my rental product high-volume and low-rent or low-volume and high-rent? As you start to ask yourself this strategic set of questions, you will see that computing a "fair" CPL will never be an exact science. The most important take-away from this exercise is to understand that a lead in Toronto or Vancouver is not worth the same as a lead in Edmonton, Fort McMurray, or Moncton. In fact, when considering market segmentation, we can and should get even more specific than the city-level. A lead in one neighborhood of Toronto like Yonge-and-Eglinton for example, should not necessarily be valued at the same rate as Bathurst-and-Sheppard. In markets with low vacancy rates, a larger variety of strong ILS', and a larger pool of renters -- it can be much easier to generate rental leads. To provide a few examples, this would include markets such as Toronto and the GTA, Vancouver and Winnipeg. In these markets, email and phone leads should likely be valued at anywhere from $3.00 - $10.00/lead. Be careful however, as I previously mentioned, vacancy rates should not be your only consideration when categorizing your market. For example, Barrie has a very low vacancy rate, but there are only 3-5 great options for ILS marketing. In Toronto, there are 5-10 great listing sites. Thus, a fair CPL in Barrie would likely be closer to $10.00 and in Toronto it would likely be closer to $3.00. In higher vacancy markets, with a smaller renter pool, and a smaller set of ILS' suppliers, averaging a higher CPL in your marketing efforts is definitely acceptable. For rental leads in markets with these characteristics, (eg. Moncton, Fort McMurray, Ottawa, Sudbury, and Halifax) marketers shouldn't be afraid to spend all the way up to $25.00/lead in extreme cases, but typically should be able to find leads in the $8.00-$15.00 range. To conclude, these guidelines are based on my own experience and are subject to my own biases. My intent with this article is to help stimulate your thought-process regarding CPL and help provide a basic foundation for finding your own acceptable cost-per-lead for each of your property's markets. If you're not already calculating your cost per lead on a market by market and site by site basis, what are you waiting for?